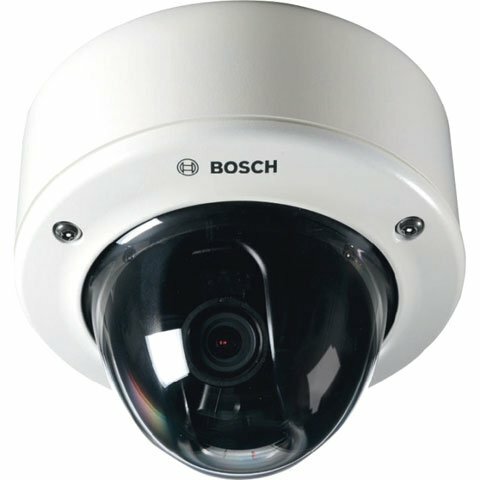 The Bosch FlexiDome Series is a fixed compact camera in a stylish surveillance dome. The FlexiDome Series features standard resolution high resolution applications. The high performance 1/4-inch monochrome or color CCD cameras come in a choice of 2.1-mm, 3-mm or 6-mm integral lenses for super-wide angle or standard view. Wide AC voltage ranges allow flexibility in both PAL and NTSC versions. The Bosch NIN-832-V03PS is also known as BOS-NIN832V03PS	or NIN832V03PS	.